Theeran Chinnamalai belonged to the illustrious and well known Palaiya Kottai Pattakarar Family. It is well known that Pattakarar family had the title of Mandradiar and controlled large tracts of land from their palace located at Palayam Kottai. Theeran Chinnmalai’s grand father Kotravel Sakkarai Mandradiar was childless. He adopted two sons – the first one Senapathy was groomed by his first wife and the second one named Rathnaswamy was groomed by his second wife. Both of the adopted sons were groomed well with proper education at the palace. In course of time, the brothers got married. As it was the custom in those days, the first son Senapathi took the title of Mandradiar in the year 1731 and continued to control the lands from Palayamkottai. The second son Rathanaswamy moved to a nearby village named MelaPalayam and took care of the farming of the lands that belonged to his family. Rathnaswamy and his wife Periyatha had six children in all – five sons and one daughter. The first son was Kulandiswamy, the second was Theerthagiri, the third was Thambi, fourth was Kilothar and the fifth was Kuttiswamy. Their only daughter was named Parvatham. The second son Theerthagiri who later became Chinnamalai was born in April 1756. The eldest son Kulandiswamy and the last son Kuttiswamy mainly attended to farming and took care of the vast tracts of lands under their control. However, the band of three brothers Theerthagiri, Kilothar and Thambi devoted their attention to administration and safety of the villages under their control. They learnt the martial art of Silambu, archery etc. They rode on their horses throughout their jurisdictions and formed Kongu Tamil youth organizations. They also trained the Kongu youth in martial arts. They protected their area from robbers. They also took part in Village Panchayats, which were popular in those days to resolve disputes between families. They not only helped to resolve family disputes but also land disputes. They became very famous for their public service in the region. In course of time, the brothers got their sister Parvatham married to Ulagapuram Muthi Thiurumalai Gounder. As they were rich, they conducted the marriage lavishly and made their sister happy by giving generous marriage presents in the form of jewellery, ornaments and vessels. During those days (late 1700s), Kongu area was under the control of Mysore Muslim king Hyder Ali. Hyder Ali was entitled to collect tax the from Kongu Tamils. A Diwan appointed by Hyder Ali, named Mohammed Ali and a Tax collector were troubling farmers in the collection of taxes in the Kongu area. They humiliated the farmers by confiscating their land – their only means of livelihood. Hearing the atrocity committed by the Mysore King’s Diwan, Theerthagiri and his two brothers mounted on their horses to challenge them in their unfair collection of taxes. As they were searching for the Diwan, the Diwan and his party were returning to their tents after colleting taxes. Theerthagiri met them on a road between the well known Sivan Malai and Chenni Malai. They recovered all the taxes from the Diwan and asked him to go and report to the Mysore King that a “Chinnmalai” that was in between Sivan Malai and Chennimalai took away all the taxes. The Diwan was very angry and protested that the taxes belonged to Hyder Ali and Theertahagiri would face severe consequences for his actions. When Diwan informed him that Kongunadu was ruled by Hyder Ali, Theerthagiri asked the Diwan to inform Hyder Ali that Kongu Tamils could rule themselves and they did not need a Mysore King. He distributed the taxes back to farmers. The story of his encounter with Mysore King’s Diwan spread like wild fire. 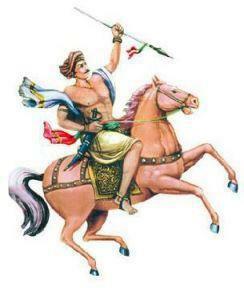 Kongu Tamils were highly rejoiced and named him “Chinnamalai” for this show of bravery. Mysore Diwan was humiliated. He wanted to take revenge against Chinnamalai and also wanted to punish him for challenging Mysore King’s rights in Kongunadu. The Diwan sent a contingent of soldiers from Sankagiri to attack Chinnamalai. Chinnamalai and his soldiers met them on their way to Kangayam at the Noyyal River and defeated them. This was the first battlefield experience for Chinnamalai. Knowing that he had to meet Mysore King in battle in course of time, Chinnamalai collected an army of soldiers from all the villages. He gave the new Kongu Tamil soldiers training in many martial arts. Chinnamalai became a very powerful figure in the Kongu region, although he did not have an official title of a ruler of the region.